The Mull of Kintyre is at the tip of the Kintyre Peninsula at the far south-west of Scotland. To get here you can either drive, fly or take the bus. It’s a hike but well worth the journey! The closest international airport is Glasgow International. 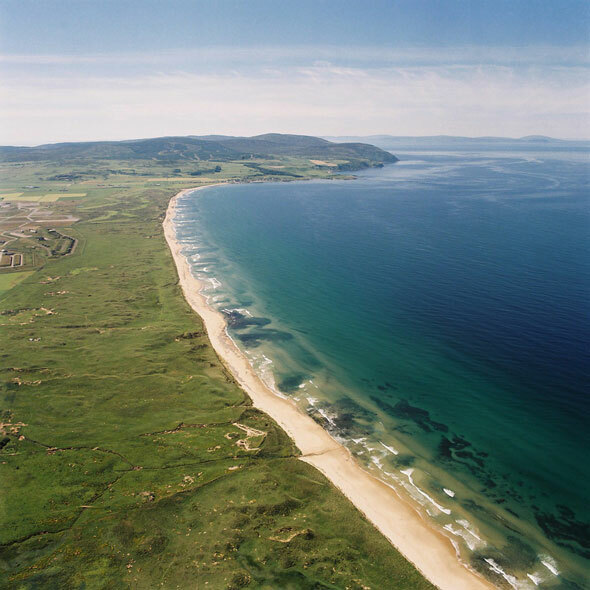 There is a small shuttle flight with Loganair that runs daily to Campbeltown which is relatively inexpensive if you book in advance, from £32 each way and only takes 40 mins, landing its 16 seater plane on the UK’s longest runway at Macrihanish. Flights mainly leave at 9.05am and 17.30pm from Campbeltown and from 9.45 am and 18.10pm from Glasgow. Otherwise Glasgow airport is a 3 hour drive from Glenkerran or 4 hour bus journey (see below). There is a regular bus service from Glasgow Bus Station (Buchanan St) to Campbeltown – service 926. Buchanan bus station is easily accessible from all mainline Glasgow train stations. Buses leave every 2/3 hours and take 4 hours and 10 minutes. One bus a day picks up from the airport at 14.20pm and runs directly to Campbeltown. Otherwise you can get the Glasgow Airport Express bus-service 500 into Glasgow and pick up the regular 926 to Campbeltown from there. The airport express leaves every 10 minutes and takes about 15 minutes into Glasgow. The daily 8.30am bus from Campbeltown drops off at Glasgow airport at 12.25pm. With any other departure, you would need to go into Glasgow and get the Airport Shuttle 500 service back to the airport. 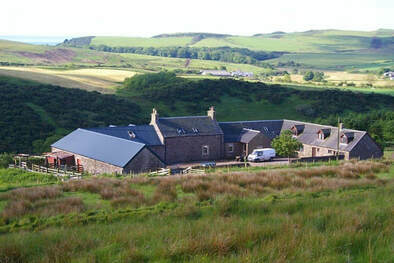 It is possible to get a taxi from the airport to Glen Kerran. Although this is an expensive option, it is often viable for groups travelling together and there are 6-seater cars available. To get to Glen Kerran by car, you take the A82 out of Glasgow, turning right at Tarbet (Loch Lomond) onto the A83 signposted Campbeltown and follow the long coast-road down the peninsula. From Campbeltown take the B842 towards Southend until you see the turn-off for Glen Kerran Farm - PA28 6PJ. An alternative for drivers is to take the car-ferry from Ardrossan to Campbeltown. This runs three times a week during the summer and you would need to book in advance. Mull of Kintyre Seatours offer fast and exhilarating boat trips from Campbeltown and will pick up from Glasgow on demand, or even Northern Ireland. This is an expensive option and is a 12-seater rib so not for the faint-hearted. However, it could be an option for groups as transport or just as a wild-life boat tour during your day off.